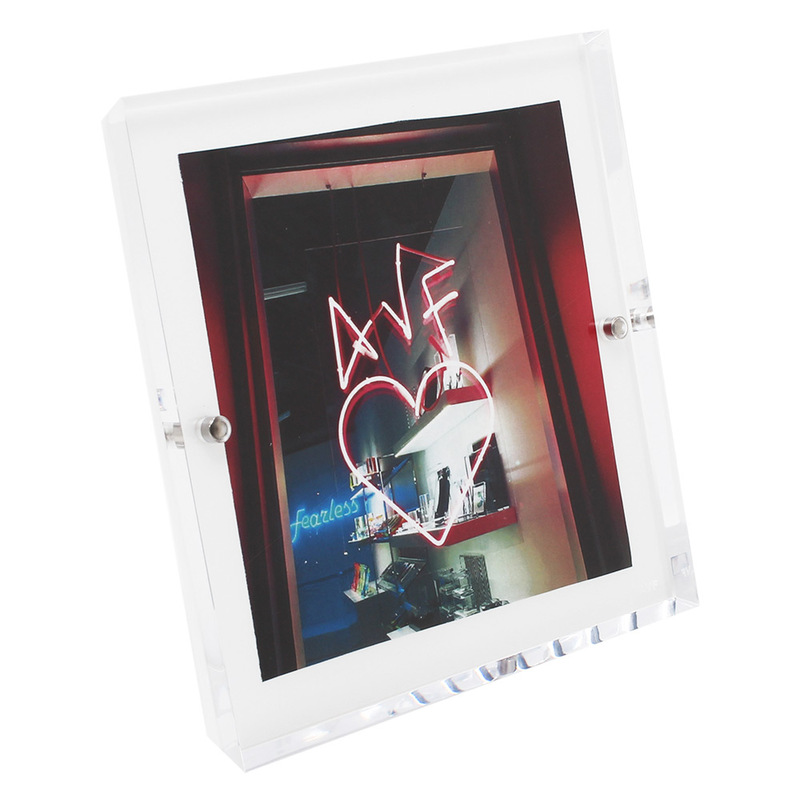 Magnetically snap the rear stand onto the frame for either a portrait or landscape-configured photo. Then, place your photo between the two sheets of acrylic and then snap them together by lining up the two small magnets. Designed to hold photos up to 12.7cm x 12.7cm (5" x 5"). Dimensions: 16cm x 16cm x 2cm.